Young or old, meeting in a natural backdrop will provide much more than a room for business, fun or education. 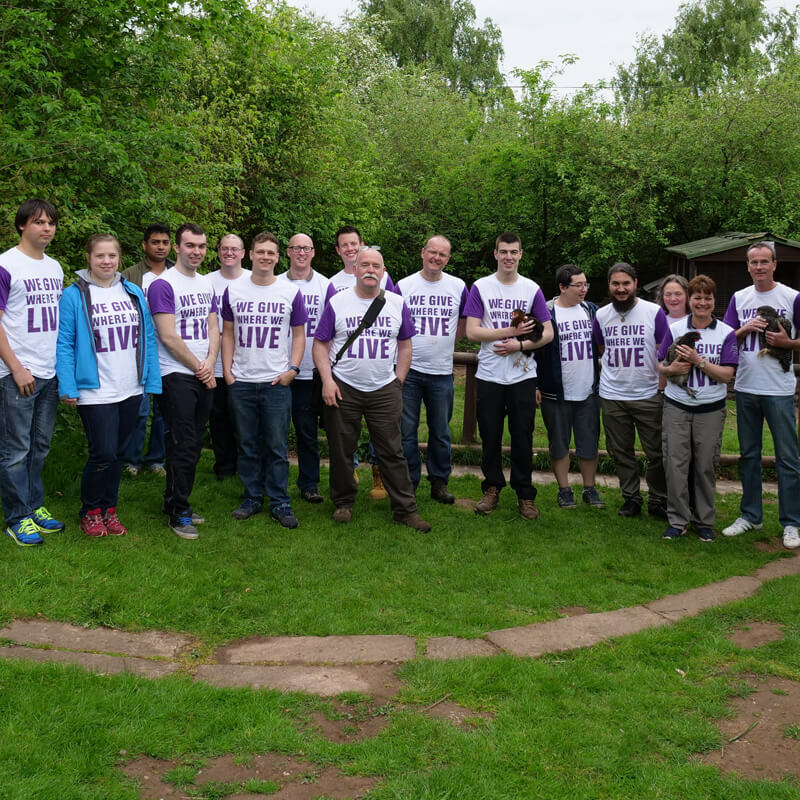 If you run a club or group, experience an exciting place to deliver your community group activities. 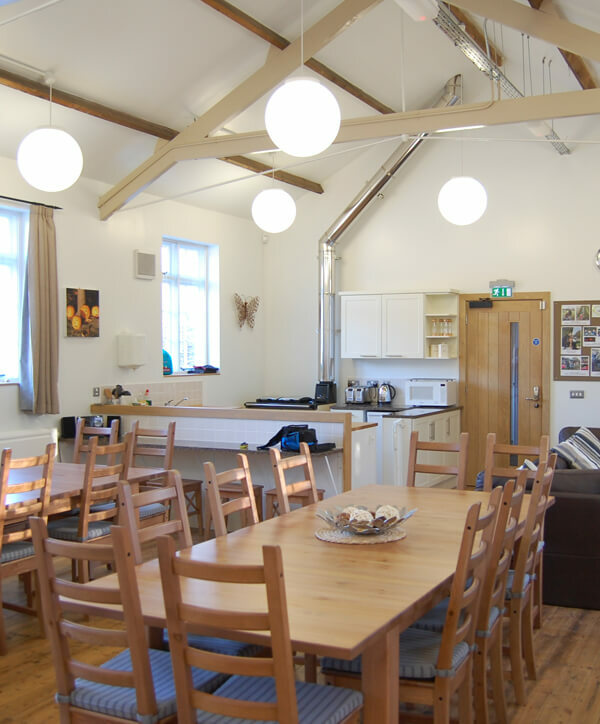 The Kingswood Trust will offer you a fabulous space to be creative and inspire your members. Young or old, meeting in a natural backdrop will provide much more than a room for business, fun or education. 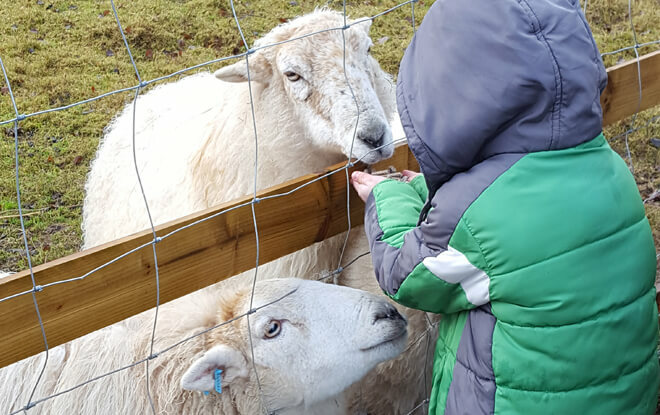 Open the doors, get active and benefit from nine acres of walks and wild life areas that will enable interests and ideas to develop whilst providing a real wellbeing opportunity at the same time. 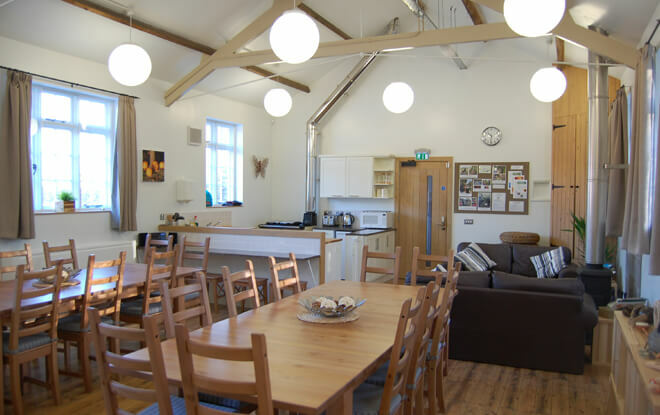 Our accommodation is comfortable, clean and well equipped for all your small and large group needs. 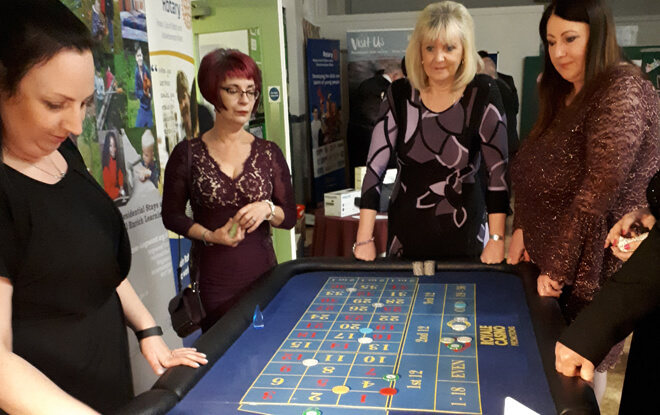 Our venue is suitable for all types of community groups. 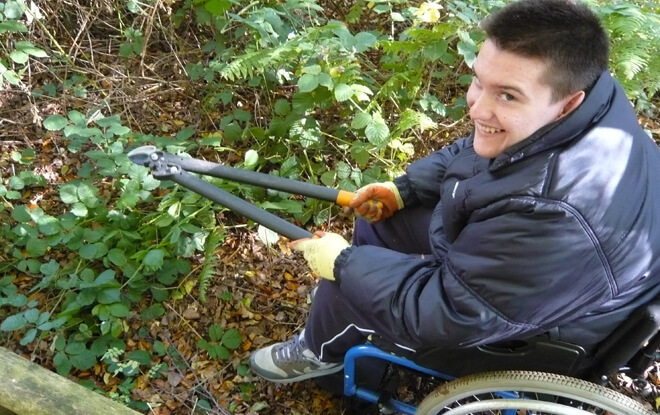 Our site is fully accessible indoors and out so we offer a great base for groups with people who have special educational needs and disabilities. 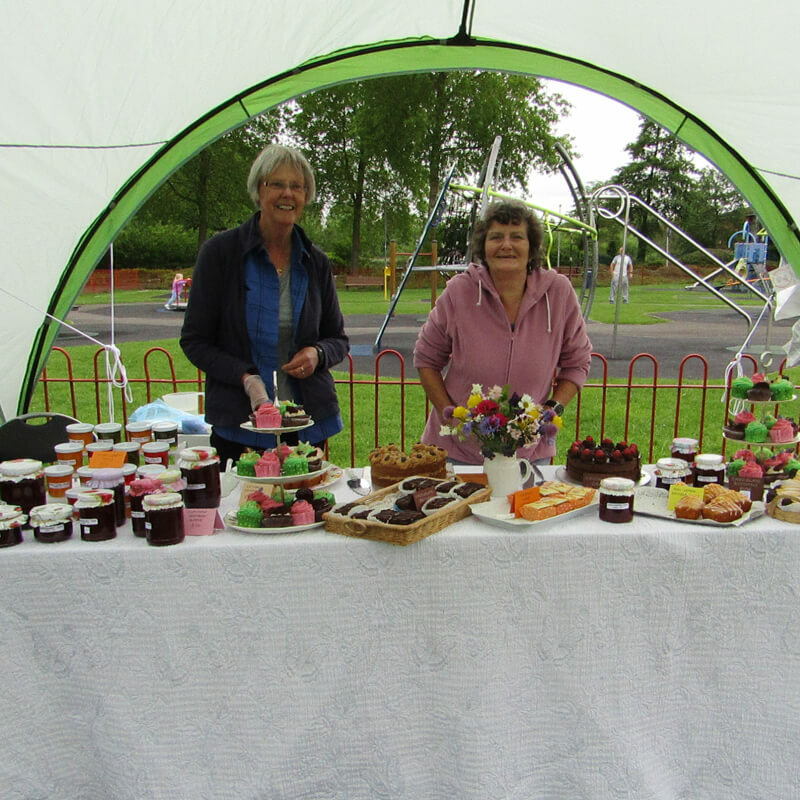 It’s a great venue for scouts and guides, Rotary and Round Tablers, sports clubs and hobbies clubs, Duke of Edinburgh groups, faith groups, wellbeing and holistic therapy groups and many more. 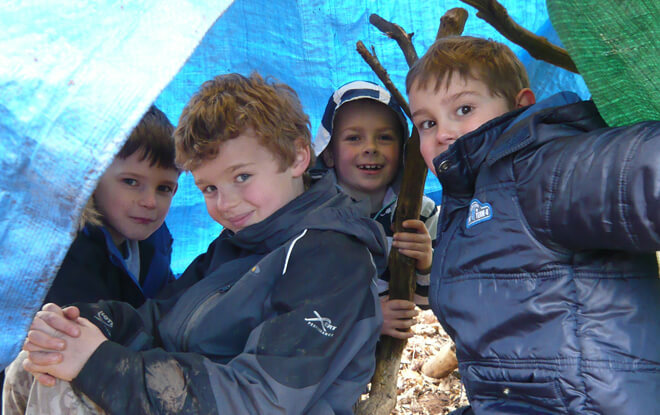 Do you offer community group activities through a uniformed group such as scouts or guides? Our carefully managed site is set up for a great club experience. Fun and freedom are on the menu, with enclosed woodland and natural habitat areas, ponds, a bird hide, climbing trees, adventure ropes, and other natural resource areas. Offering three camp fire areas, cooking outdoors and night time activities are a must. 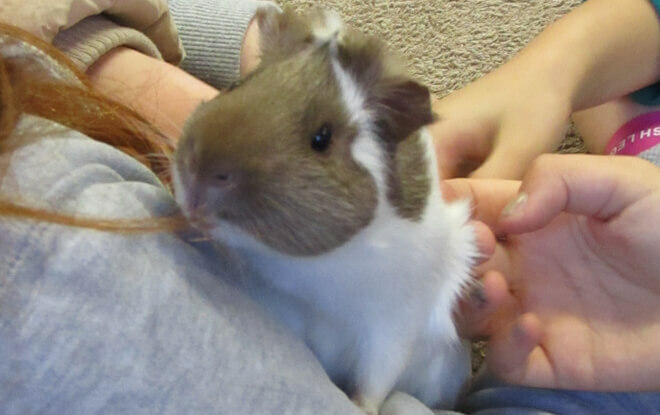 Get close to our wildlife and meet our pets: sheep, ducks and chickens, tortoises, rabbits and guinea pigs. Our venue is perfect for…. 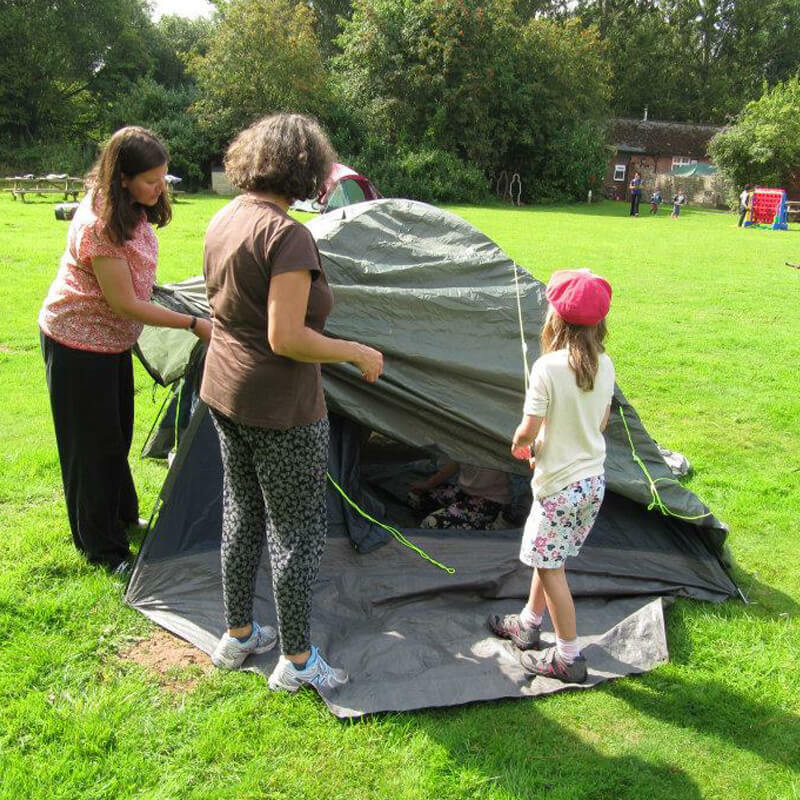 My outdoors challenge – opportunities to have a sleepover or camp. 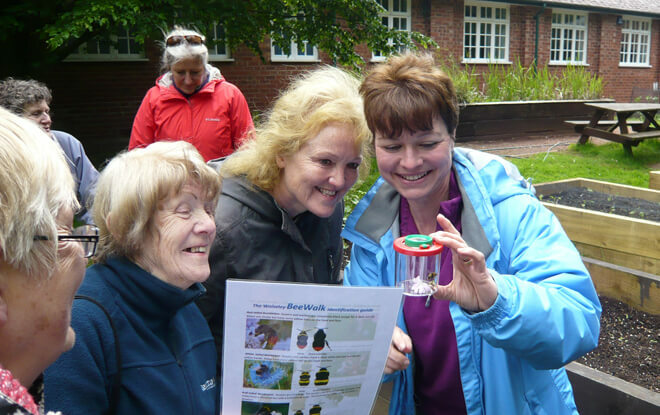 Come and make a bird feeder or bug hotel, make something from natural materials and identify insects, animals and birds. 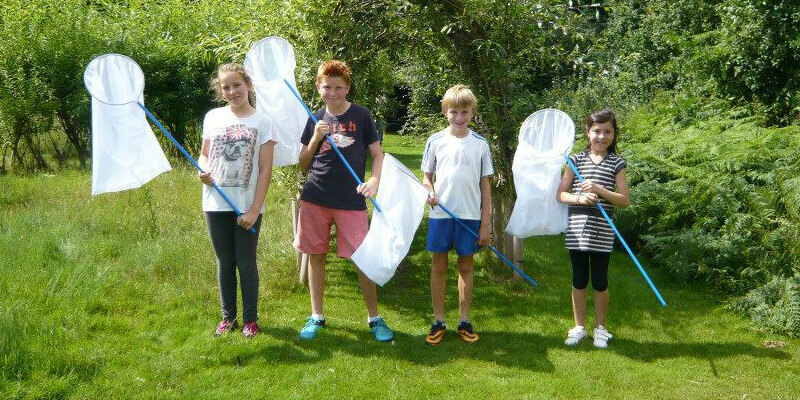 Naturalist – identify trees, minibeasts, flowers and pond dwellers. 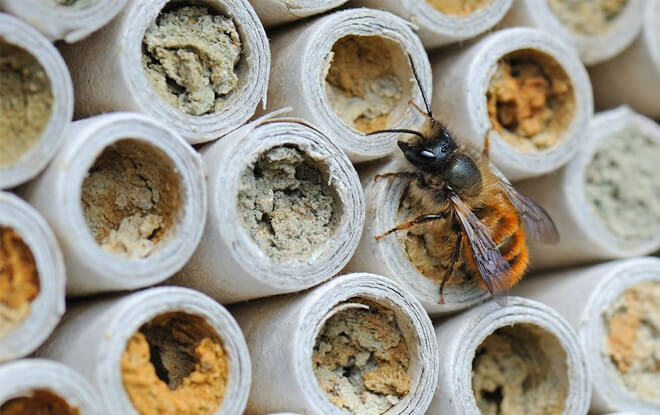 Have a go at natural art, make a bird feeder or insect house. Pick wild fruit and cook with it (seasonal activity). Camper activity badge – Our woodlands are a great place to hold a camp. We have fire pits available for cooking. 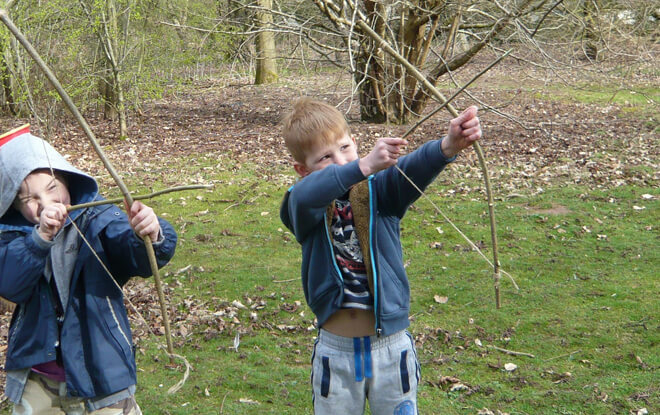 Naturalist activity badge – investigate wildlife and plants in our wooded areas, hedgerows an ponds. 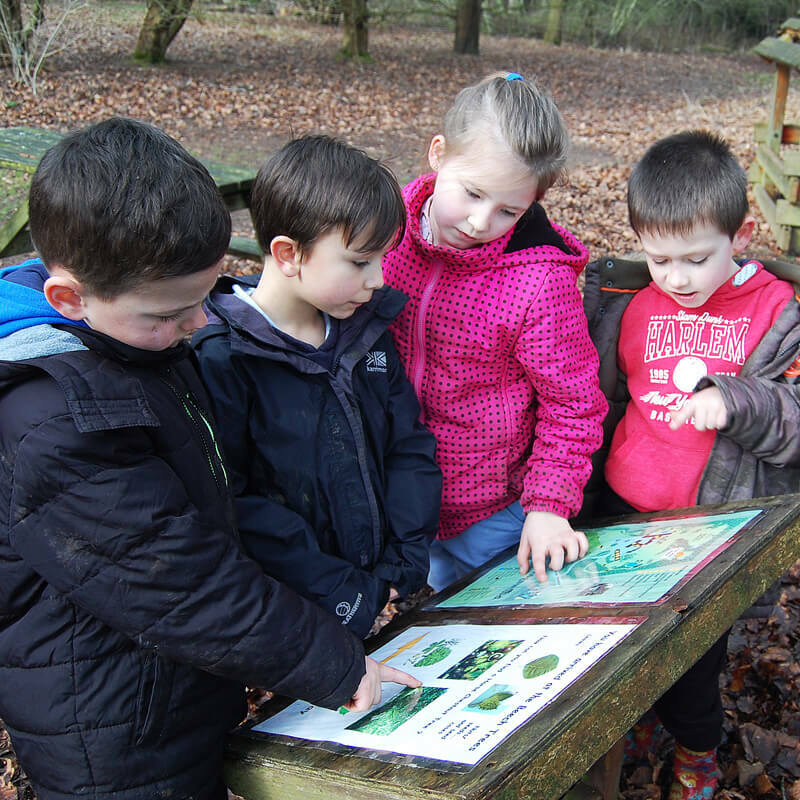 Forester activity badge – identify trees using a key. Learn to coppice, plant and manage trees and hedgerows and explore the seasonal change in our woods. We can offer creative ideas for Rainbow Roundabout themes. Contact us to discuss your ideas. 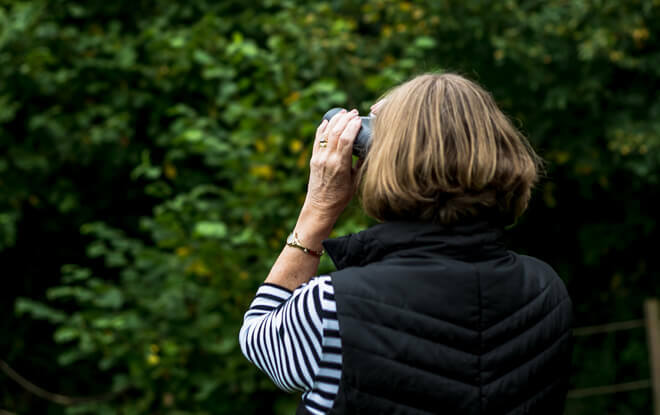 Wildlife explore – Use our binoculars and expert guides to identify birds, butterflies and wild mammals. 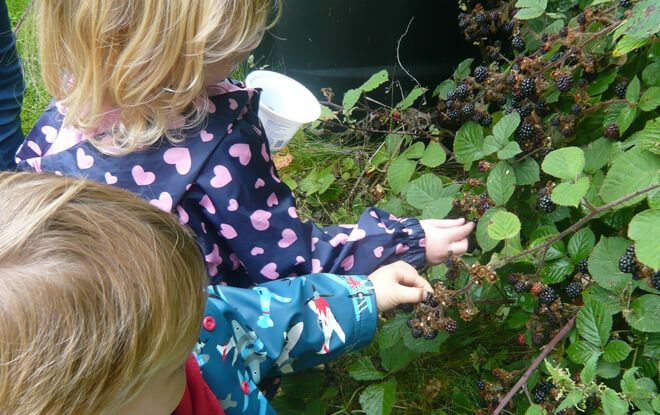 Make a bird feeder or go pond dipping. 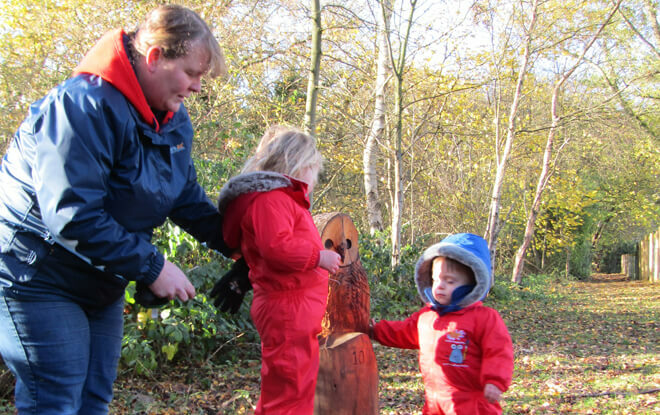 Discover our trees, make leaf and bark rubbings and much more. Out and about – go for a walk following a simple map. 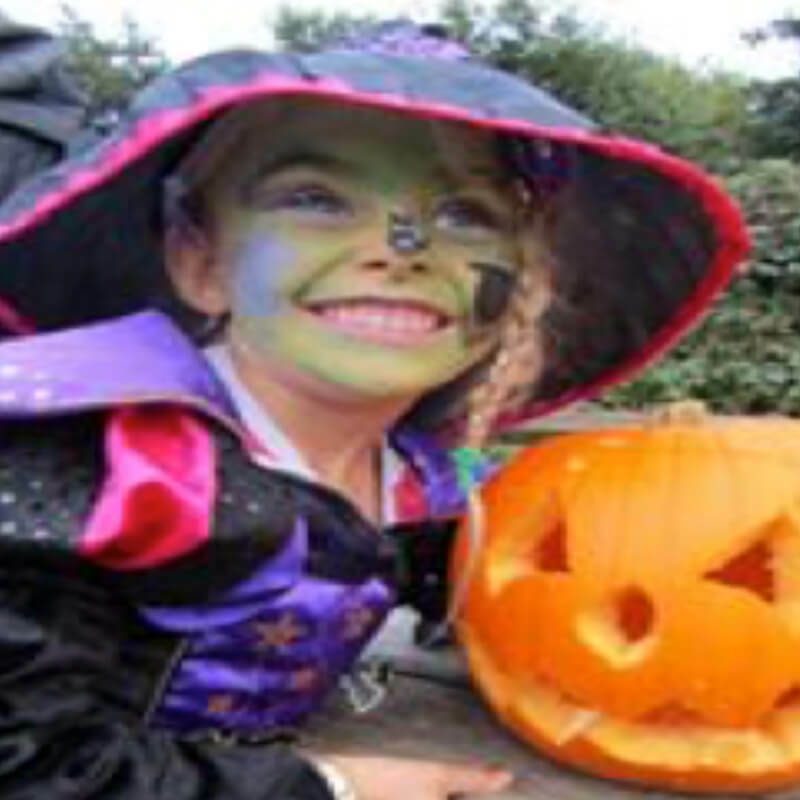 Plan a scavenger hunt or take part in one of our orienteering games. 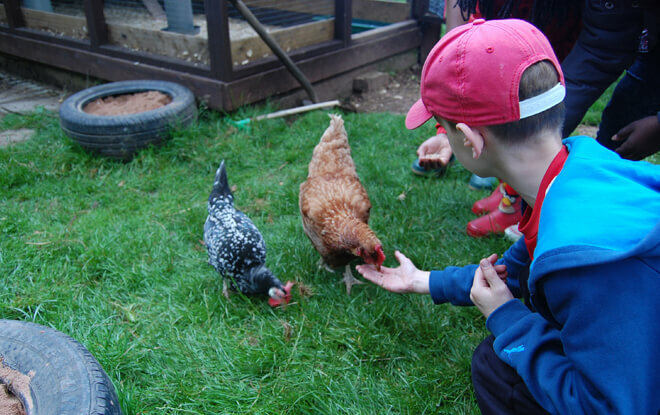 Camper – The Kingswood Trust is a great place to hold a camp. We have a fire pit available for cooking. 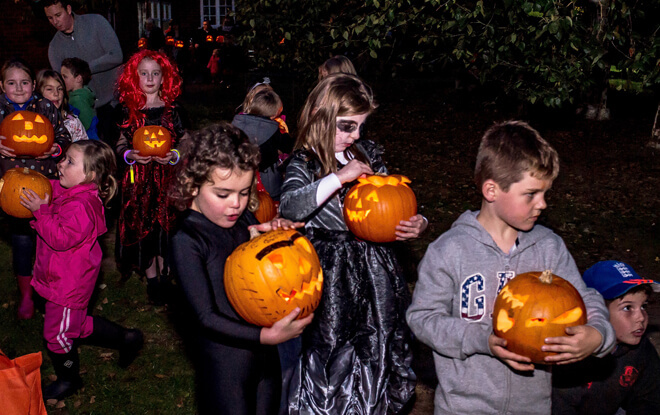 Extend your community group activities over one or more nights. Our two residential buildings sleep 16 and 54 people. These can be booked together or separately to accommodate different sized groups. 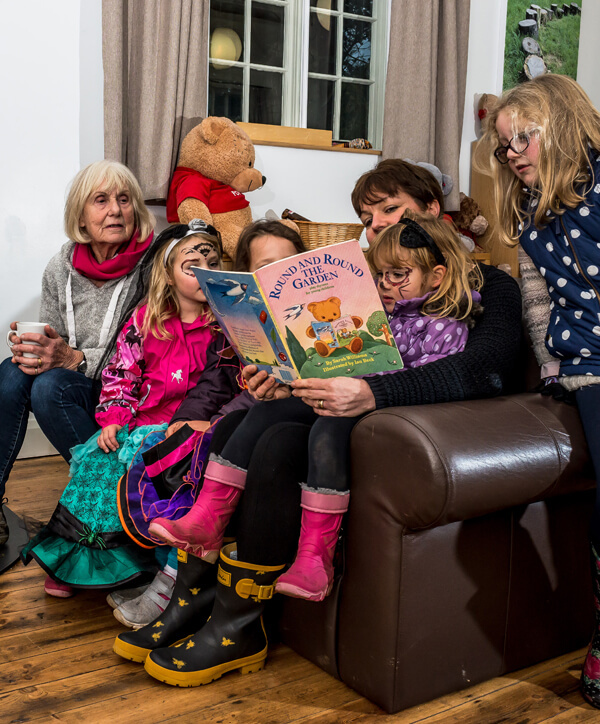 You can enjoy family style meal times, self-catering and share in all the fun and adventures of a big sleep over. 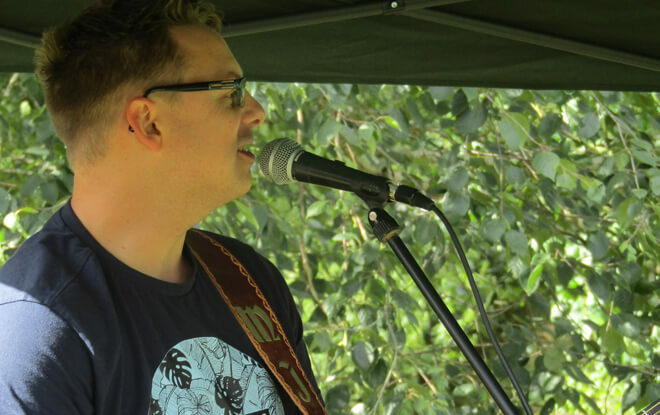 We provide a secure camping area, access to toilets and showers, use of all outside grounds and fire pits, washing up areas and water points. Our nine acre site accommodates more than 50 tents. Community group activities include talks about the work of our charity. Come and take a tour around our nine-acre site of special interest dating back to 1923. 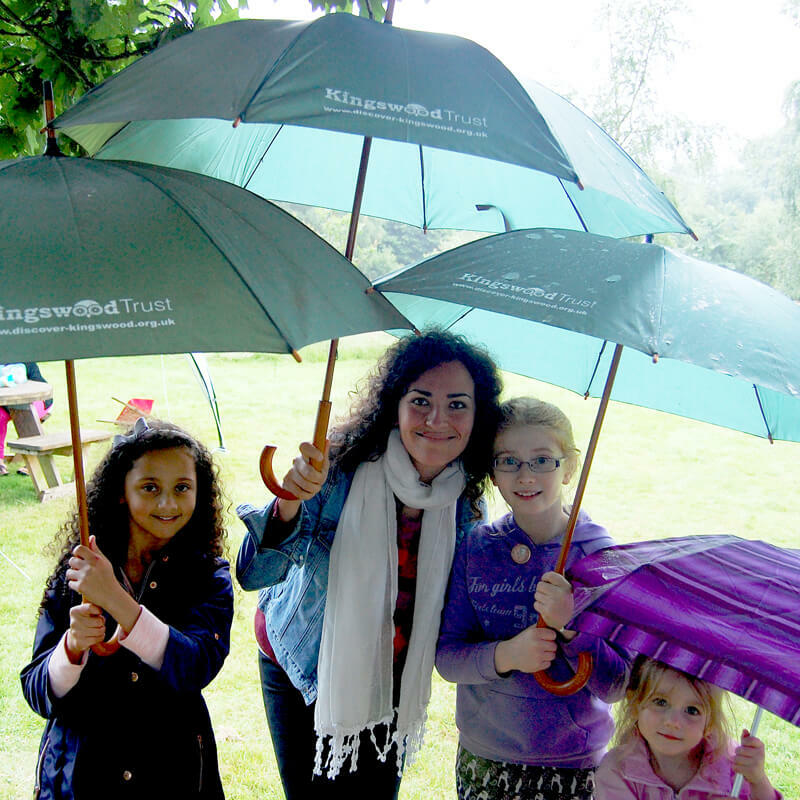 Find out about the history of The Kingswood Trust, its wild places and environmental developments, whilst benefitting from a breath of fresh air. Why not build this into your AGM, visit or programme of meetings. 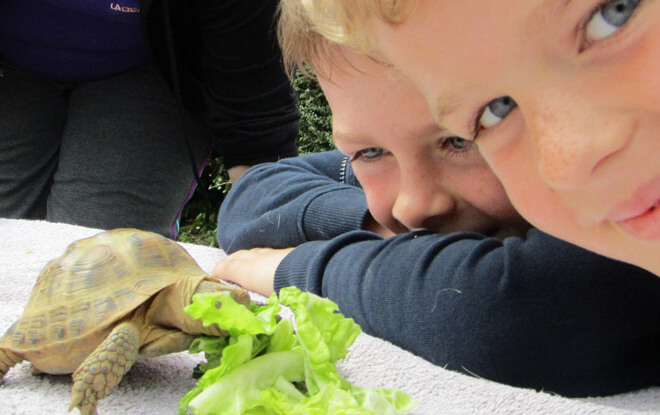 The Kingswood Trust is a great place to connect health and education with active learning opportunities for people of all ages and abilities. Our venue is ideal for training activities or, alternatively come along and join in our own courses. 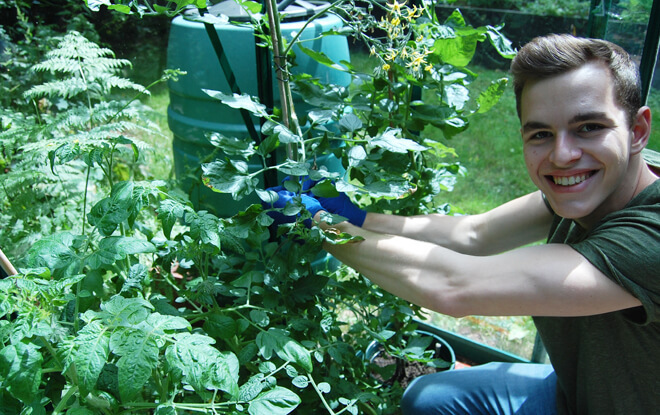 Over the year we deliver skills days and environmental; activities such as orchard management, earth oven building and cooking, solitary bee workshops, willow weaving, green wood working and hedge laying. 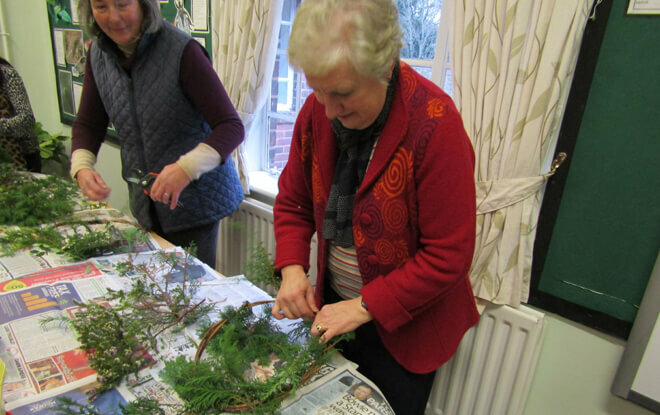 Membership of the Friends group will give you a discount on our events and community group activities published on our calendar of events, for 12 months running from January to December each year. You will be kept up-to-date with news, special activities and social events. 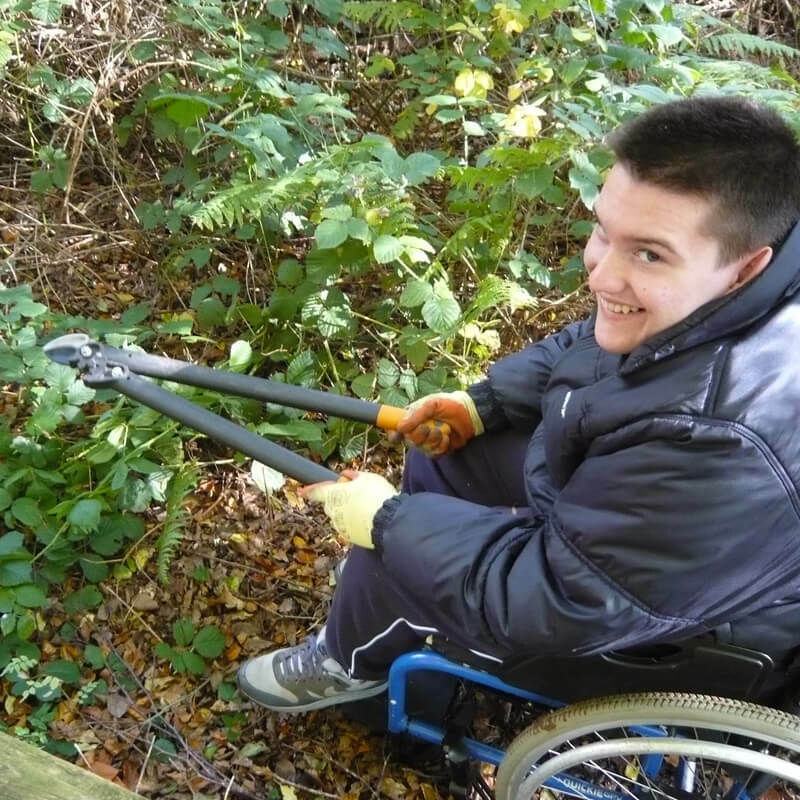 There will be opportunities to learn new skills and knowledge and to enjoy the great outdoors. You will be supporting the on-going development of our charity and meeting others at the same time. 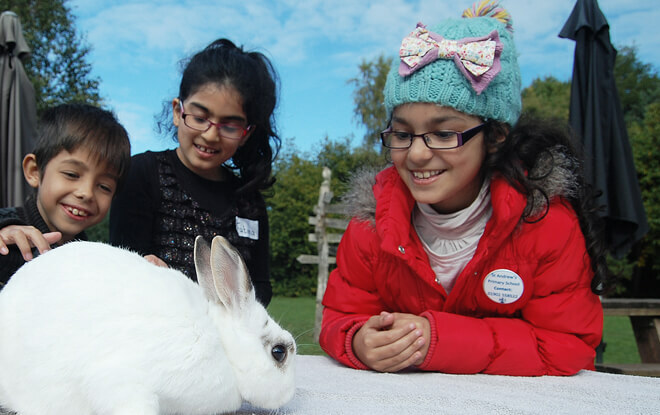 Did you know that community groups can book a fun filled stay at The Kingswood Trust? Our three bedroomed ORB deserves a special mention especially if you are thinking of booking The Kingswood Trust for a community group activity stay or a group day out. Nestled in our picturesque site, the ORB offers natural views and interesting features to discover.